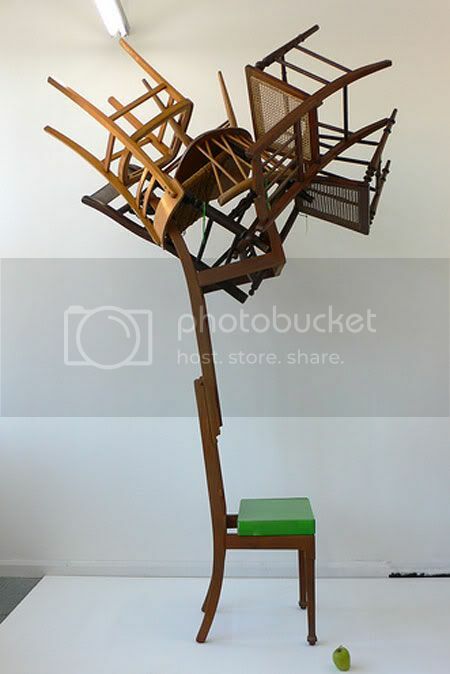 Is this a chair or an art piece? 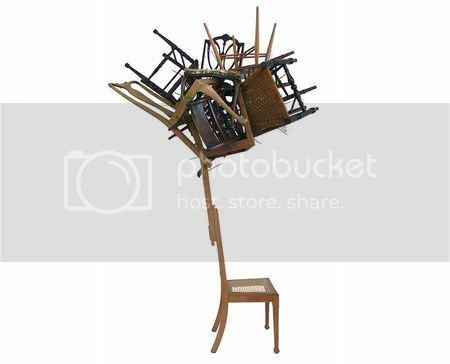 In The Woods is a balanced stack of unwanted chairs, found on the street where Karen lives. Designer Karen Ryan creating In The Woods Chair, is a reaction to the ever increasing consumer waste around us. 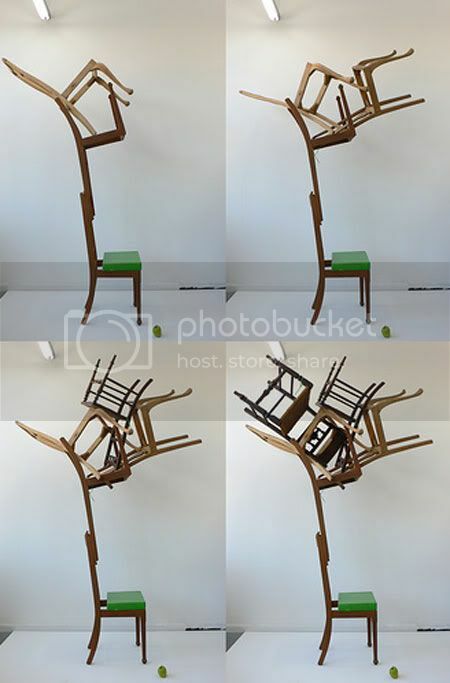 While we always reinvented new objects everyday, the life span of existing objects seems to become ever shorter and perhaps this 'new' chair made from old chairs will definetely save the world some space.